Maude Saunders 5th graders visit ECTC for Career Day! Congratulations to ECTC Teacher of the Year Dawn Morgan! "We prepare and empower today's students to meet the demands of an evolving and competitive global market." "Empowering Students, Powering the Future"
​Check out the calendar for upcoming events! Ready to schedule your next salon appointment? Each month, Mr. A. Russell Hughes, the Superintendent of Walton County Schools will share a video message with an update on the exciting things happening in the Walton County School District, Walton County, Florida. Check back often to stay informed on all the activities, events and accomplishments of teachers and students in the Walton County School District. This month Superintendent Hughes celebrates our graduating seniors and shares the dates for the graduation activities. Mr. Hughes also recognizes the wonderful teachers and educational support professionals in our district as we approach Teacher Appreciation Week. He emphasizes the importance of remaining diligent and finishing the school year out in EPIC fashion! Many programs are a year or less in instructional training. Emerald Coast Technical College is committed to the vision of empowering students and powering the future by providing high quality, affordable education and training to all persons in the community who are seeking and can benefit from participation in Post Secondary career education opportunities, secondary education opportunities, adult education opportunities, and enrichment activities. Career Focused Training and Opportunities. 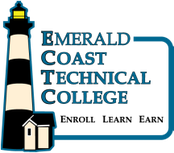 Emerald Coast Technical College offering programs for successful careers. Small Classes and Individual Training. Reasonable Tuition – Public Post-Secondary. College Credits for Technical Programs. Programs cater to Employer Needs/Requirements. Personal and Career Counseling Assistance. Emerald Coast Technical College graduates develop up-to-date technical skills and earn industry certifications that allow them to start their career as soon as they complete – sometimes before! Emerald Coast Technical College is committed to the concepts of equal opportunity and equity and complies with Florida Statutes regarding non-discrimination. No person shall, on the basis of gender, marital status, sexual orientation, race, religion, national origin, age, or disability be denied receipt of services, participation in school activities, or access to programs if qualified to receive such services. To report suspected abuse please call the Department of Children and Families at 1-800-96-ABUSE. Check out the FAQ section of the web site for answers to your questions﻿.